Want to speak to your Practice Manager? 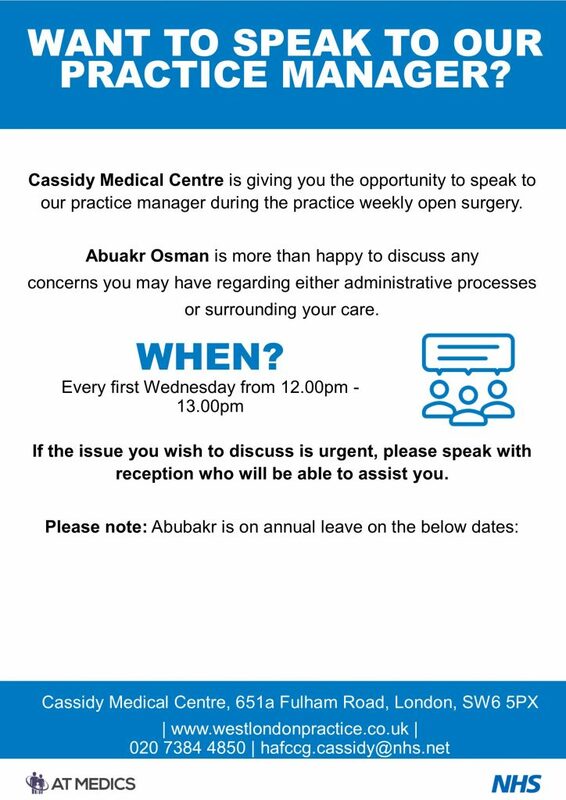 This is a great opportunity for you to have a one-to-one discussion with the Practice Manager to express your concerns, share feedback or discuss the range of health services offered at Cassidy Medical Centre. The Practice Manager will be running one-to-one sessions every Wednesday between 12 and 1 pm.